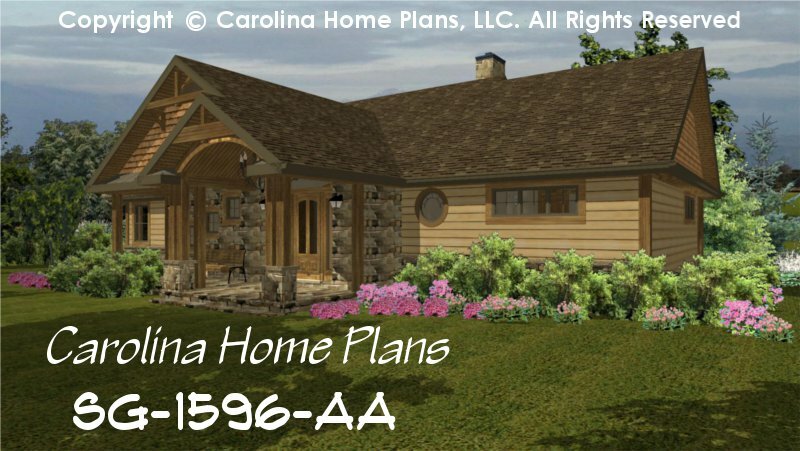 With a blend of yesterdays charm and today's innovation this charming small craftsman bungalow style house plan provides the best of both worlds. 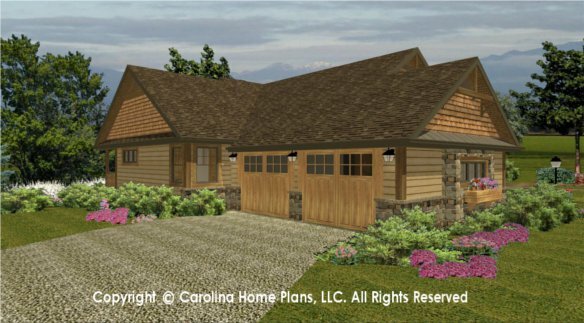 The graceful wood and stone covered entry create an inviting atmosphere for this small home plan. 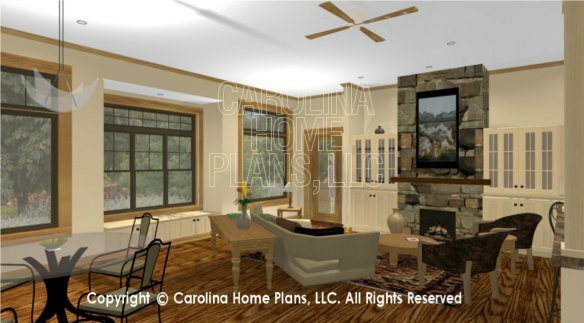 The great room with its 10' ceilings, fireplace and tall windows bring drama and light to the open floor plan. 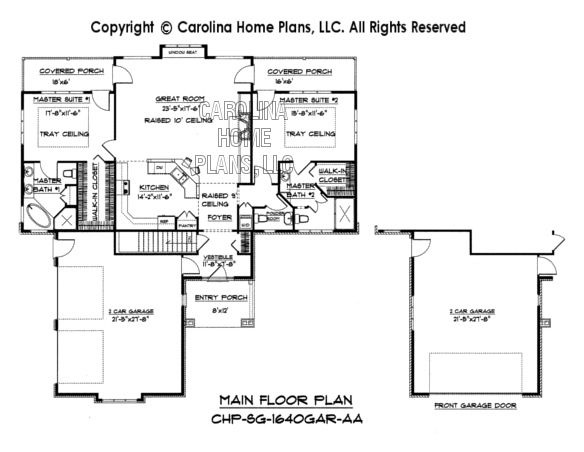 The large open kitchen is divided by a convenient raised lunch bar providing separation but not isolation. 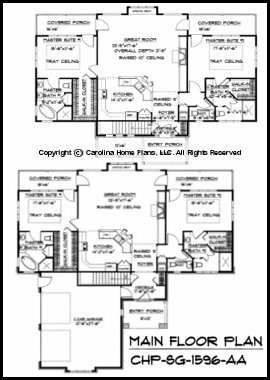 Featuring dual split master suites, main floor laundry and guest powder room, this 2-bedroom, 2½-bath small home floor plan is ideal for a vacation, down-sizing or starter home. 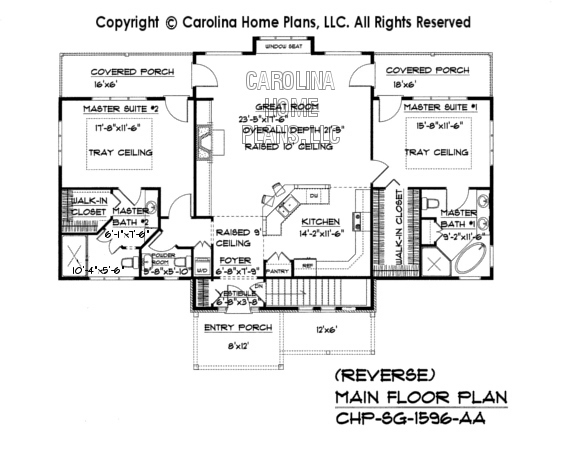 The two back porches are accessible from the great room as well as from the two master bedrooms. The stairs to a full basement are conveniently located off the vestibule. 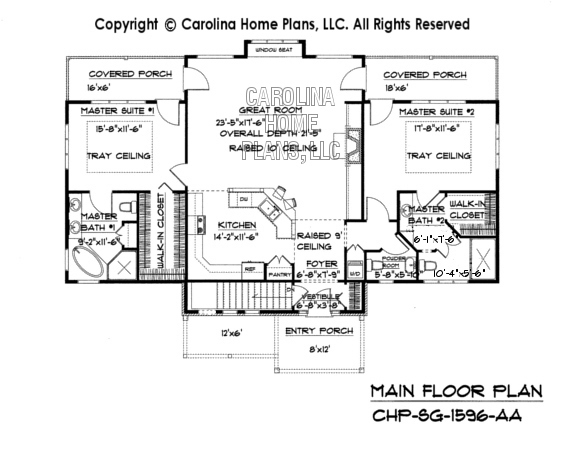 The efficient, well designed small open floor plan is great for entertaining or casual living. 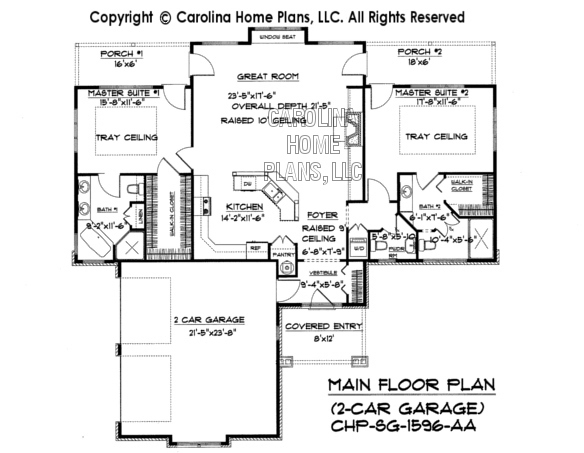 This 1-level small craftsman bungalow house plan comes with a full basement for plenty of storage, optional 2-car garage or crawl space/slab with a 2-car garage. Available options and pricing: See below. Master Bath #2 6'x7'-6" & 10'-4"x5'-6"